The ingenious Minifix® spreading bolt is simply pushed by hand into the 5, 8, or 10 mm holes in the side panel and produces an immediate and firm locking connection when tightened. 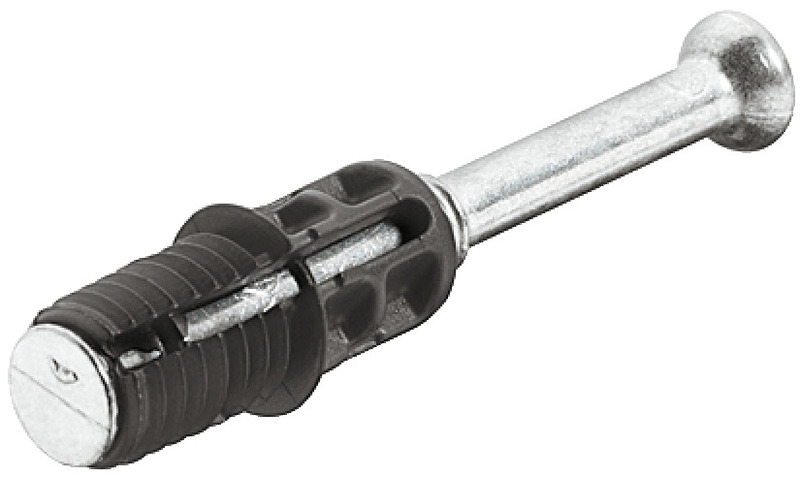 The bolt consists of a tapered metal pin with the typical Minifix® spherical head. This is embedded into a plastic spreading dowel. 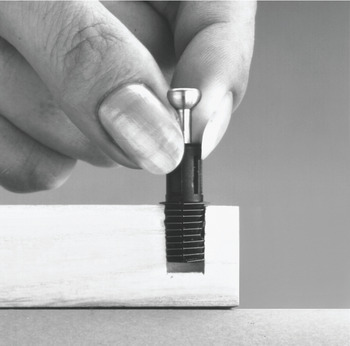 The top of the dowel is fitted with a stop and an easy-grip sheathing which makes manual insertion simple. The furniture components are drawn together ideally with a firm locking connection, as the stop ensures a uniform tensioned length of 34 mm. 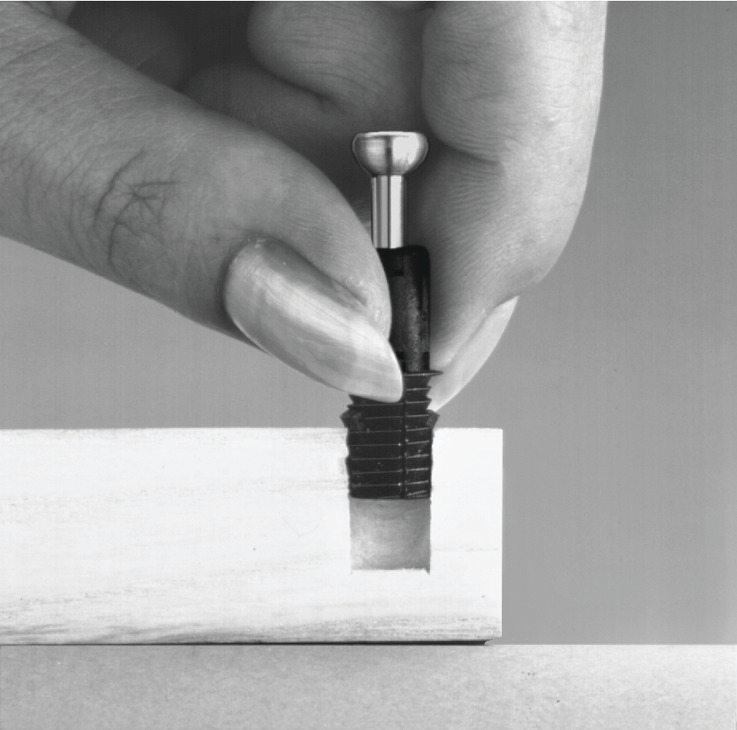 When the bolt is tightened with a Minifix® cam, the taper spreads the dowel, expanding the plastic spreading dowel in the hole. The greater the effect of the tightening forces, the more durable the connection. When dismantling the furniture, the bolt can be unscrewed again by hand. When the connector is tightened the double taper on the bolt spreads the sleeve and forces the threads into the wood. The stronger the tightening force acts, the securer the connection.